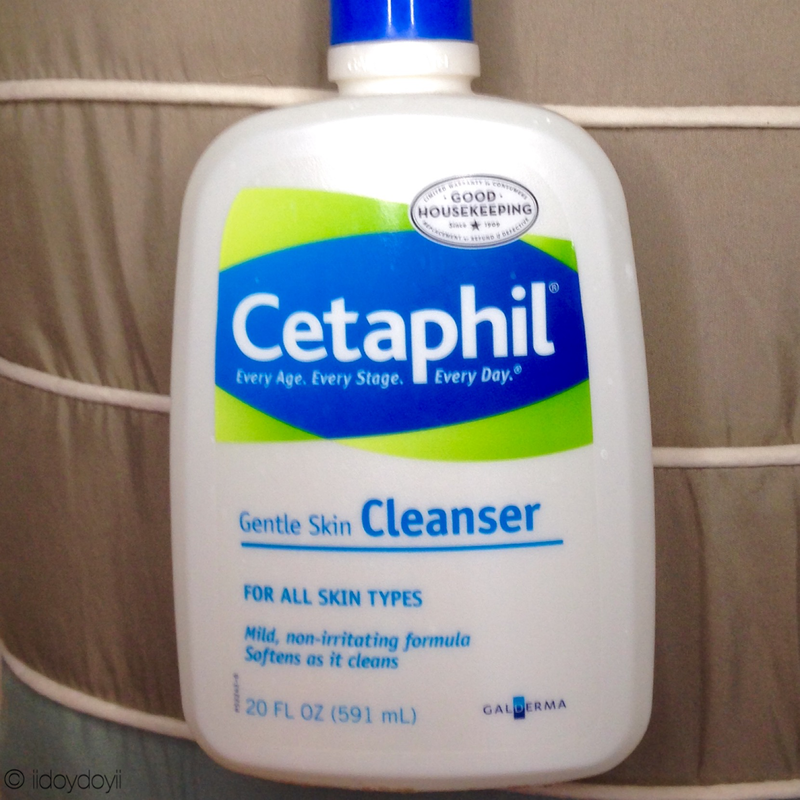 A1.Cetaphil Cleanser is the cleanser that I use both in the morning and in the evening. If I was wearing makeup, I would remove that first with a different cleanser, most likely oil-based. Because this cleanser is so gentle, it won’t bother my skin, even if I wash it with a different cleanser first. A2. 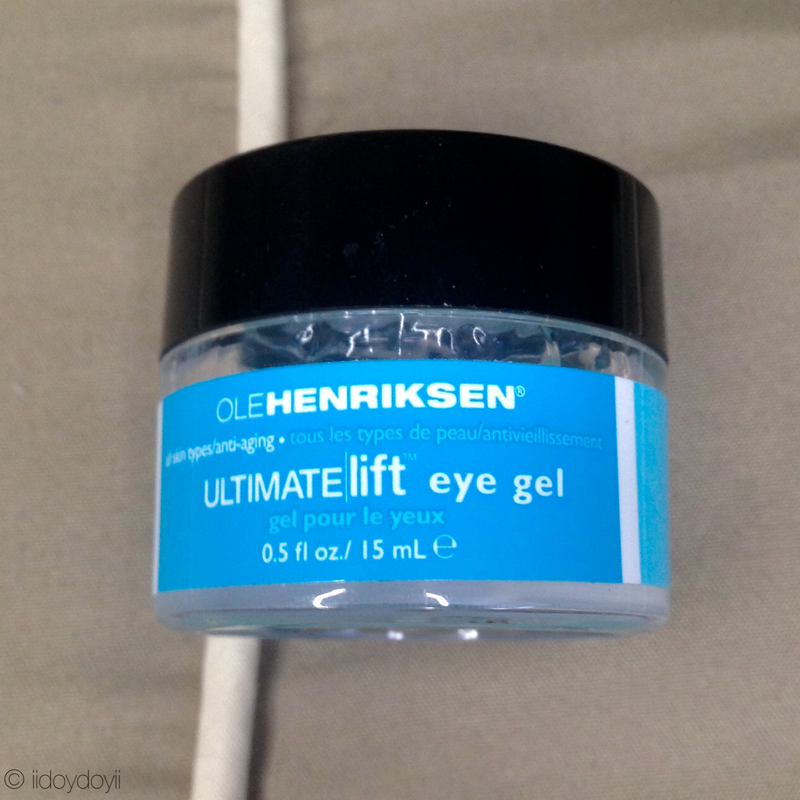 Once my face is completely dry, I apply Ole Henriksen Ultimate Lift Eye Gel underneath my eyes with my ring finger. The reason for using the ring finger is because it has the gentlest touch. The skin around your eye is very thin and sensitive and the last thing you want to do is pull at it causing crow’s feet. A3. This was the part of the post I was most nervous about because I am acne prone. I never really discuss the products I use for my acne because I find it somewhat embarrassing. 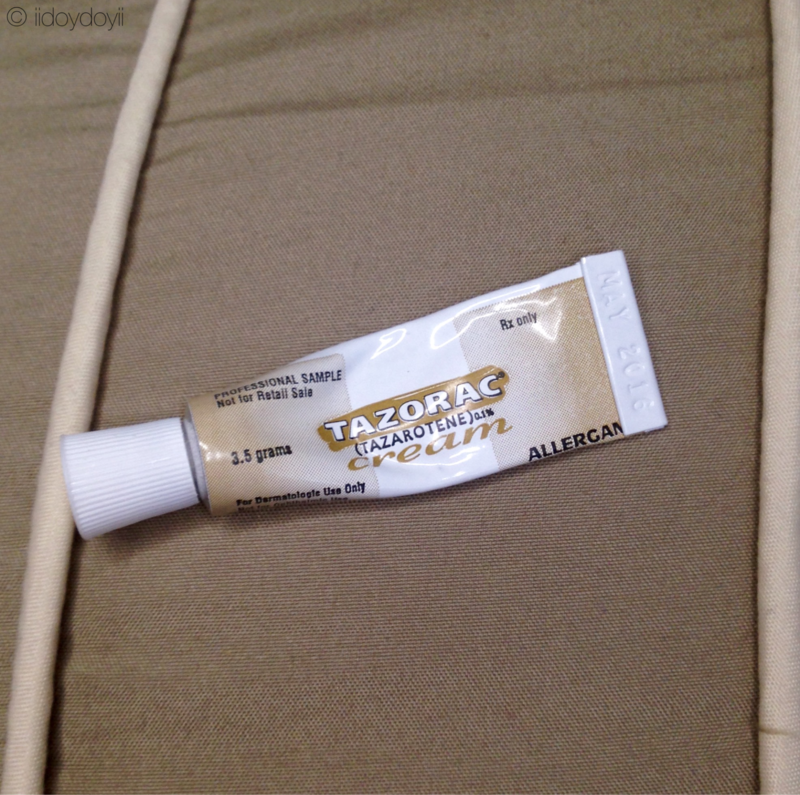 I go to a dermatologist and she prescribed Tazorac for me and with these creams, you work your way up in percentage. For example, I was using the cream with 0.05% and worked my way up to 0.1%. So I apply this all over my face and let it dry before applying other products on top. A4. While I am waiting for my face to dry, I apply my favorite lip balm in the whole entire world. 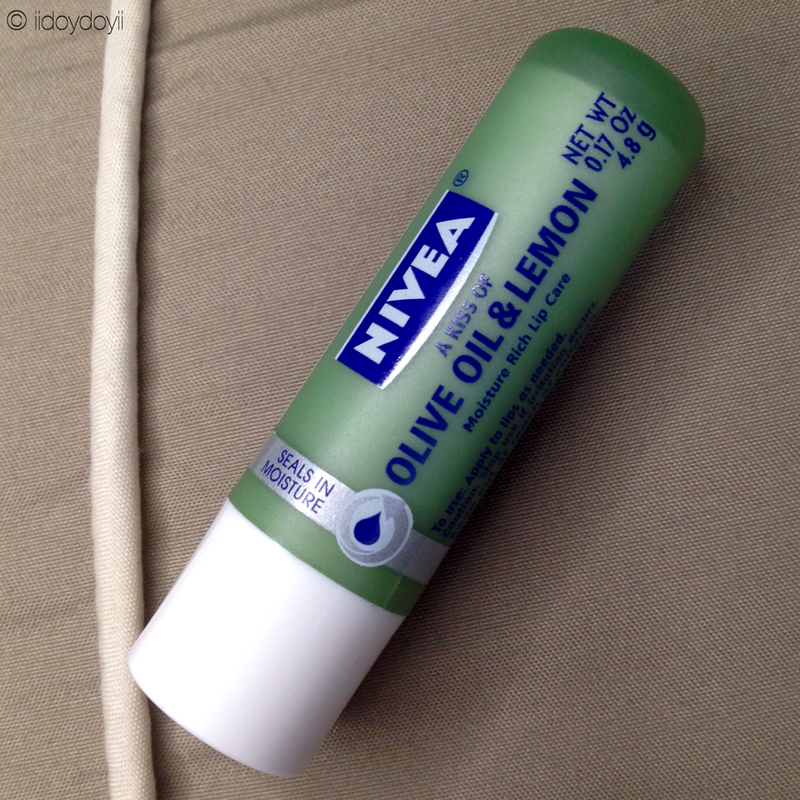 It’s the Nivea Olive Oil & Lemon lip balm. I wish this version of the product was more readily available in drugstores. I usually only see the ones I don’t want, the ones in yellow or blue packaging. This moisturizes my lips like no other. A5. 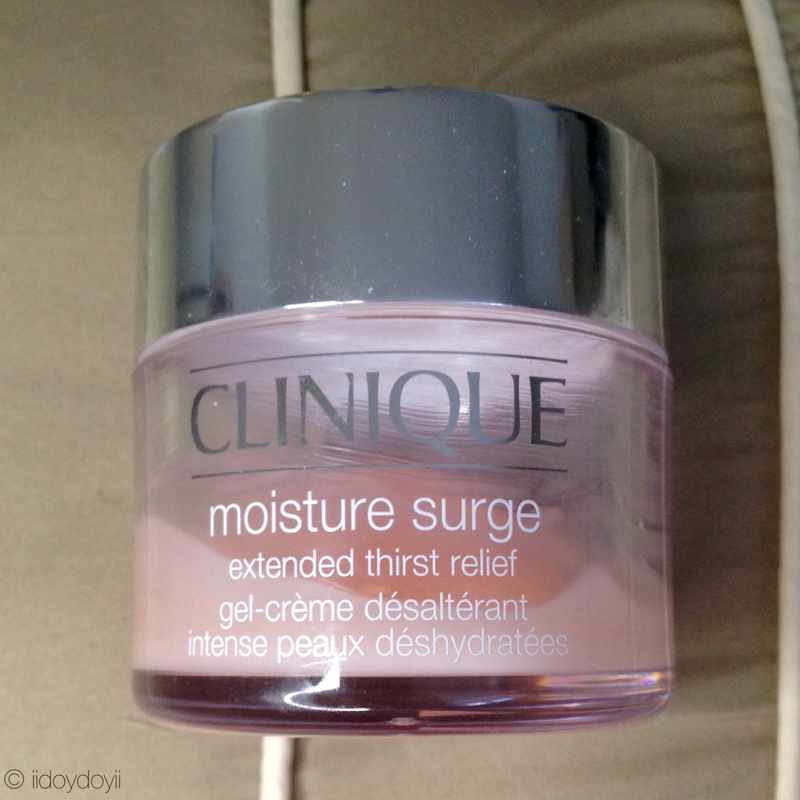 For my face, I use the Clinique Moisture Surge. See my rave review of Clinique here. I love Clinique, in case you haven’t read the previously mentioned post. Moisture Surge is the perfect name for this product. I have to end my night with a clean and properly moisturized face, whether I am wearing makeup or not. Moisture surge is very potent so a little bit goes a long way. B1. 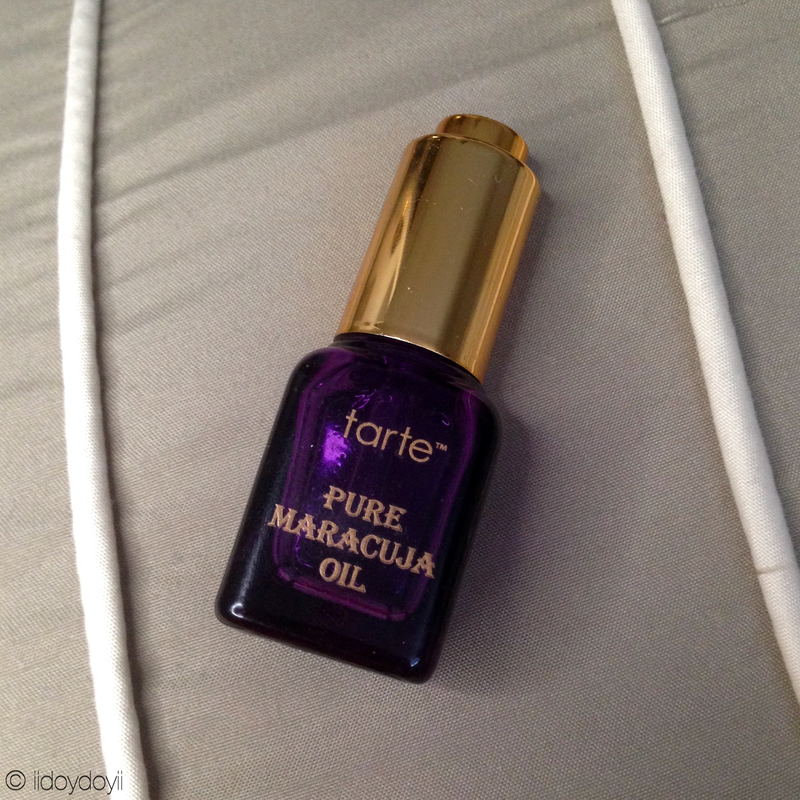 I take some of the Jo Malone English Pear and Freesia Body Creme and mix in a few drops of the Tarte Pure Maracuja Oil. For a more detailed post on this lotion combination, click here: Read me! B2. Then I mix it with both of my hands and apply it to my arms, legs, basically everywhere on my body. C1. Nail care is important to me because my cuticles get dry during the colder months. And I love my nail art so I need my nails to look nice and prepped, whether I want to wear nail polish or not. 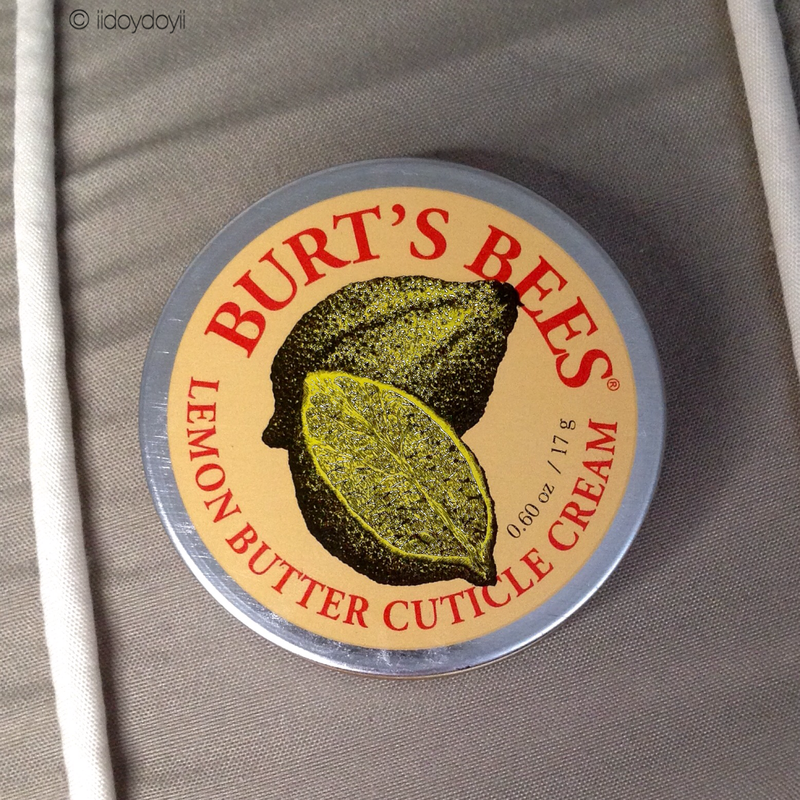 Burt’s Bees Lemon Butter Cuticle Cream is the best for that. I just scoop out a little for each nail and rub the product into the nail bed and cuticle area. C2. I found that this lotion is the best at keeping your skin soft and smooth. There was a time that I was taking acne medicine and it made my skin, including my body, very dry. 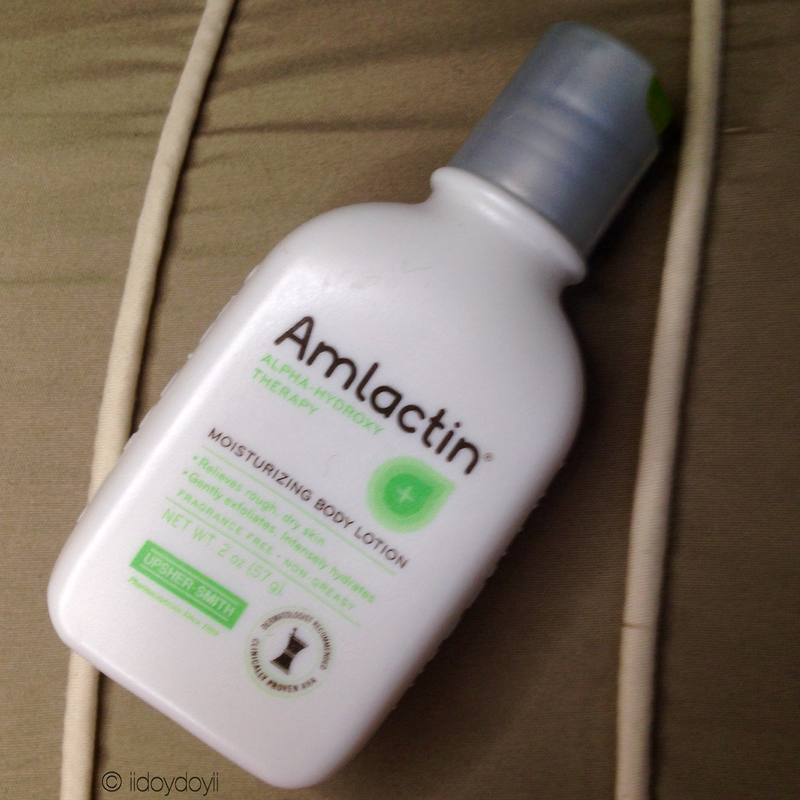 Amlactin made my skin go back to normal fast. This time I use it on my hands. Thank you for taking the time to read all about my Skincare Routine Series. Leave a comment below if you have a face cleanser recommendation! I need to be better about nail care mine are so sad looking lately! I notice that even if you do the bare minimum and put hand cream on your hands/nails, it will still help in a big way!